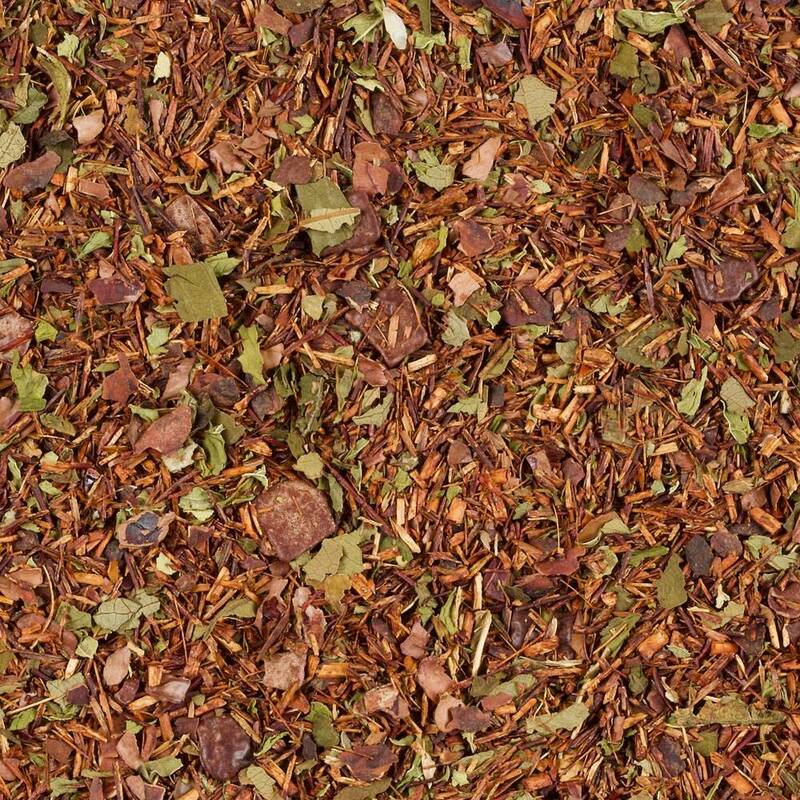 Chocolate-mint rooibos (100g web clearance) - Monsieur T.
After smelling the aroma of this chocolate and mint rooibos, you'ill have no choice but to fall under its spell. A nice mint flavor with a dose of chocolate that will make even the most "grinchy" people smile. The mint-chocolate combination has been well appreciated for a long time! You can't be wrong. Naturally caffeine free, you can enjoy it anytime of day. Contains: Rooibos, cocoa peels, chocolate pieces, mulberry leaves, spearmint, aromas.